I haven’t posted any new articles on this blog for quite some time – mostly because I’ve just been far too busy. Now I’ve got time I thought I’d write about the possible 5DSR Mark II. New kit has arrived – I’ve now got (for work use) a Canon 5DSR, EF 24-70 f/2.8L II, EF 16-35 F/4L IS, MPE-65 Macro Lens, StackShot 3X system and a whole bunch more things. I really should write about all of these – there’s so much goodness to say. Some things haven’t changed. We’re still waiting for a Canon full-frame mirrorless camera, and even though the Canon 5D Mark IV seems to be just around the corner we’re still nowhere near an announcement on a full-frame mirrorless Canon camera, which is a pity because I’d buy one in a flash. What is more likely in the meantime is a replacement for the EOS M3 – which is a great little camera but let down by a few ergonomic issues and by the fact that it just isn’t a Sony A6000. I had to get an A6000 just to see what all the fuss was about. It’s a beautifully crafted camera that beats the EOS M3 in almost every way. But… in the end I decided to remain loyal to my significant lens investment and not go the Sony A6000 or indeed the A7R II route and instead I gave away the A6000 and kept the M3. Gave away? Yes, I’m good to my friends! What has been interesting me however, and the reason for this particular return to blogging, is the prospect of a Canon 5DSR replacement. Sales figures are hard to come by, and I think we can assume it’s nowhere near as successful commercially as the Sony A7R II, but the 5DS and in particular the 5DSR are solid, reliable and high quality cameras suited for particular tasks – ie photography in a studio or photography with lots of natural light. I have been continually impressed with the high quality imagery that the 5DSR gives me. Sensor: 120-150 megapixel full-frame. There may well be another video-oriented Cxxx camera with a 120 megapixel APS-H style sensor too. 120 megapixel would mean images of around 13400×8933 pixels. 150 megapixels would give images of 15000 x 10000 pixels. Card Slots: The camera would have to use CFast II cards. It wouldn’t make any sense at all to have a legacy CF or SD slot. Dual CFast II cards or bust. Processor: We would assume it would use dual Digic 7 processors. No Low-Pass Filter: We can also assume that, at this resolution, people aren’t going to be worried about aliasing any more. You get aliasing at 150 megapixels then you just downsample to 120 megapixels or so and kill it with software processing. It won’t work in every case, but it will do the job enough of the time to make it worthwhile, especially when I have yet to have a single image in the 5DSR ruined by aliasing, even when doing fashion shots where I would have expected problems. So, unlike the 5DSR which has an additional layer to counteract the effect of the low pass filter, the 5DSR II will not have any low pass filter at all. No 4K Video: This is not a multipurpose camera. Although the camera technically will be entirely capable of 4K video it isn’t likely to support it – or if it does it will be an afterthought rather than a primary feature. Lens selection: Although there was some semi-official list of supported lenses for the 5DSR, it is going to become a much bigger issue for Canon to be able to show lenses capable of 120 or 150 megapixel images from this camera. We may even see that the camera is only guaranteed to perform well with a very select number of modern L series prime lenses – the EF 35mm f/1.4L II is likely to be a good candidate for this. Otherwise Canon is likely to see a much greater return rate on lenses that may have been perfectly fine even with the 5DSR but don’t cut it at 120+ megapixels. I’d like to hope that the EF 16-35 f/4L IS and the EF 24-70 f/2.8L II would be suitable – if only because I’ve just bought them – but I somehow doubt it. Frame Rate: Who cares? This isn’t an EOS 1DX Mark II. You’re going to be preparing carefully for each shot, thinking of composition, lighting and how damn long it’s going to take to copy your images into Lightroom afterwards. Wifi? : It would be nice, but no. Canon will inevitably sell you a widget for an obscene amount of money to do this however instead of building a $5 chip into the board. Rear-facing 8MPix camera for selfies: Maybe! When will this replace the 5DSR? It won’t! I would expect both the 5DSR and the 5DSR Mark II to remain on sale at the same time – with 51 Megapixels being enough for most mortal people. The 5DSR Mark II will of course come at a premium price, probably a little more than the 5DSR originally launched at, with the 5DSR falling in price again after the Mark II launches. Anyway… let’s see how much of this actually comes true in the end! My guess is that the 5DSR Mark II will be a 120mp camera, similar to what Canon has shown off at the Canon expo. This would also be great news for the 24-70mm f/2.8 II as it was one of the lenses used on this demo camera. 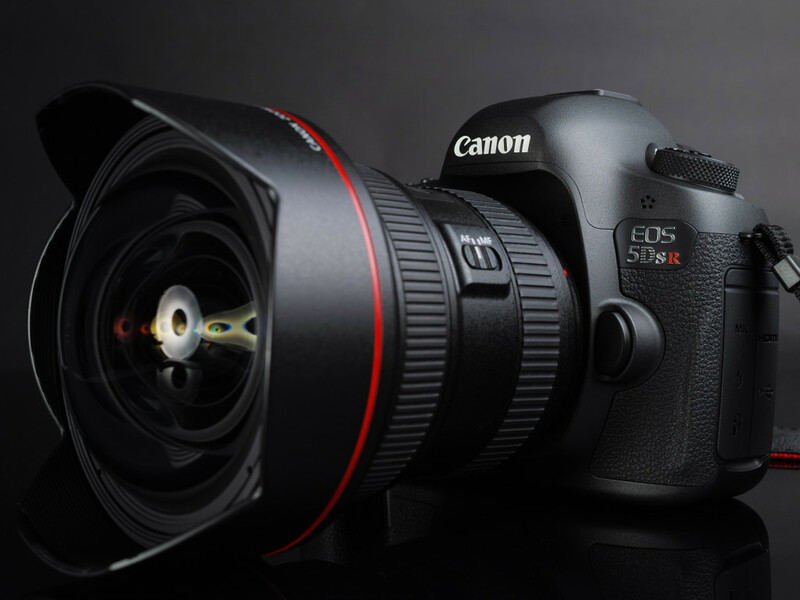 Do you have any guess as to when Canon will come out with a 5DSR Mark II? Its pretty much a foregone conclusion that the 5D Mark IV will be unveiled on August 25th, and the 5DSR is based on the 5D Mark II body… I would assume a 5DSR Mark II won’t come out at all in 2016 but could it come in 2017 or will they wait even longer? I don’t think Canon will be in any major rush to replace the 5DS/5DSR series – My guess is that we’ll start hearing rumors of a replacement in a few months time and if that happens I’d expect a late 2017 release. Right now Canon aren’t going to want to do anything to steal thunder from the 5D Mark IV launch, so we are unlikely to even hear any credible rumours until very late this year. I’d be surprised if it received an update before 2018, maybe even 2019. Canon isn’t known for a fast release cycle. Dear Jolyon, I am a fan of my Canon 5dsr and I wanted to tell you that your dreams about the next step are exactly mine! A 100 mp perfectly silent camera for pure photographers! Friendly yours. Dahmane, Paris. Next story So, how many EOS cameras do I ACTUALLY need?